This quilt is made with pinwheel blocks set on the diagonal. 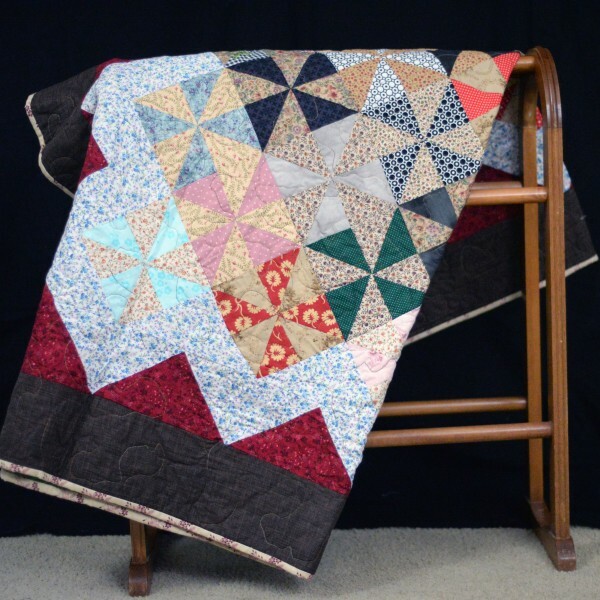 It gives it a different look than the traditional pinwheel quilts. It is made with the leftover pinwheel blocks that were used in making the “Leftover Pinwheels” that is also listed on this website. This quilt is a Throw size quilt. It measures 64″ X 64″. it would be the perfect quilt for either snuggling under on a cold evening or for a loved one who is confined to a wheel chair.